Just 1 Random Guy: Driving? 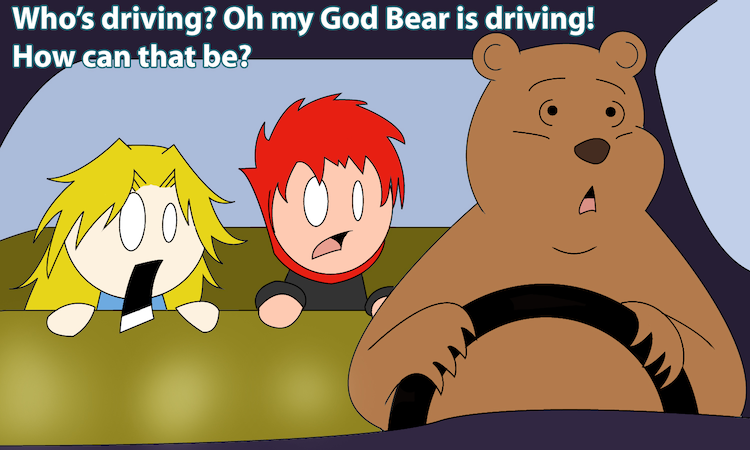 This is an image my friend Ashley drew up a good long time ago in homage of a certain cartoon clip. i'm glad i didn't miss this clip, thanks for posting it .